Nick Bender was diagnosed with colon cancer in March and it has spread to his liver and abdomen. He is fighting hard while undergoing chemotherapy. 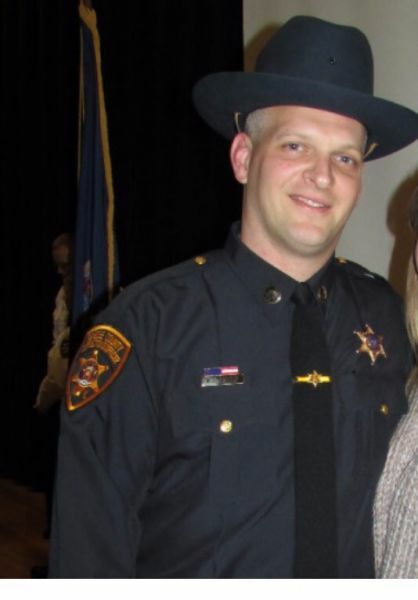 Nick works for the Genesee County sheriff's department and is unable to perform his duties due to his treatments. This benefit will help in the mounting medical expenses associated in his fight against cancer. What: Nick Bender Benefit: Team Bender Is Fighting More Than Just Crime! When: Saturday Dec. 9 from Noon to 6 p.m.
Activities: Chinese Auction, Gun Raffle, 50 / 50 and the best darn chicken BBQ you'll have all day! Donations outside of raffle tickets are warmly accepted and appreciated! There will also be other raffles that day for larger items and tickets will be available at the door. Connect with Nick Bender Benefit!